I've always been a fan of high end lines, MAC being one of them. Ever since I started blogging a year ago, I’ve been doing more and more research on beauty products. 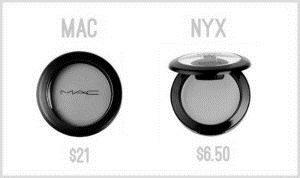 I've realized how there's so many makeup lines, like your drugstore vendor brands that are out there. Have you ever walked in a Target store to pick up a prescription and were told, “It’s going to be 20mins?” Well I have. So I find my way to the cosmetic section, but only look. I can't try the makeup on, and the price is wayyy lower than what I'm used to. This creamy shimmer eye shadow is great for an allover eye base, or it's great for highlighting underneath the brow. Check out the price! These two colors are pretty fun great for the creasy, but the L'Oreal one has more shimmer. MAC Russian Red is gorgeous. It's one of MAC's best lipsticks to me in the red family. 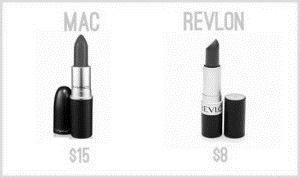 Revlon look alike hits it dead on! This Shimmer highlighter is great above the cheekbone. 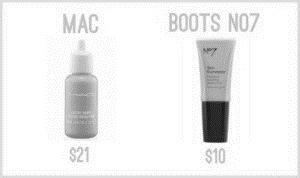 I've just learned about Boots NO7 but its alternative to the Lustre drops by MAC. This pink is perfect for every day. I love a cute pink anything! 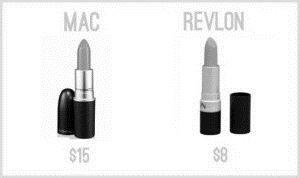 Revlon has a great line of lipsticks. You will find your look alike. 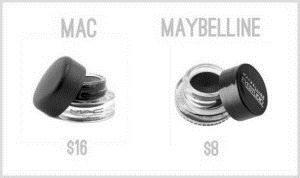 I love creamy eyeliner pots, and they last forever! 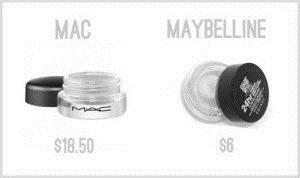 Both are great, but believe it or not the Maybelline stay better to me. Ok! Number 1 you can't match a better color. 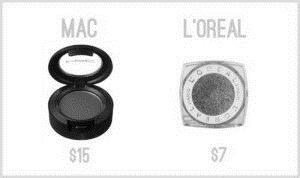 Cream blushes are great buildable products, especially if you’re new to using blush. Dark lipstick definitely has it's purposes. 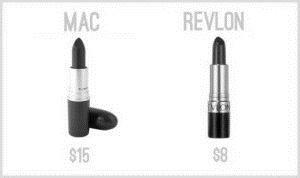 I normally can find a dark lipstick, but one that's creamy and full of color, now that's a deal. (They both hit that mark). I hope this help you in anyway. Now go out and try a whole new world! !